Loubier Summer Club is a complete place for leisure and sports. The famous, long Kineta beach will give you the perfect environment to swim, the sports courts will allow you to exercise in either Beach Volley or Beach Tennis, but the central point for the Loubier Summer Club is the Café-Restaurant. 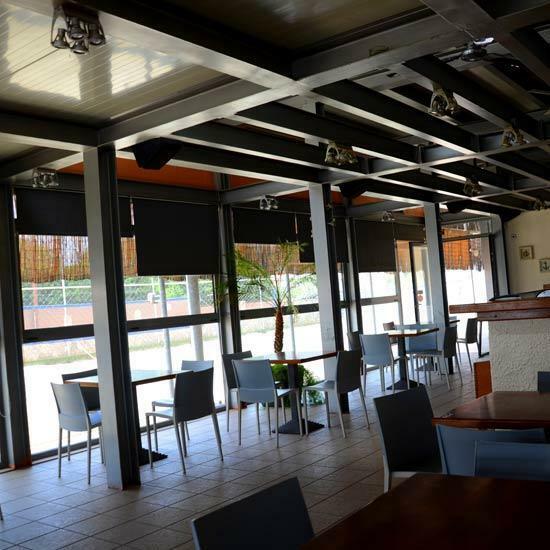 In its premises you will be able to satisfy all your requests, whether it is your morning coffee, a soft drink and a snack during the day or a full course meal at the evening. All items in the menu are prepared locally by experienced staff to your personal specifications and courses are home-cooked with the best ingredients. The Café-Restaurant of Loubier Summer Club is not a place that simply covers your needs but a place where the whole family will have a relaxed day by the sea while covering all its needs for the duration of the day.